I feel as if I am slowly revealing my truest self through this blog. Today you are going to learn that I love Scooby Doo. I remember watching Scooby Doo, Where Are You? on re-runs as a little kid when I would visit Florida on Nickelodeon. I was always mesmerized by the retro vibe and the spooky mysteries. My favorite ever episode is Foul Play in Funland. I am so happy that Sherri from Paint It Pretty Polish chose this beloved cartoon that she watches with her kids as her inspiration for the Duos & Pairs Polish Pickup in February. Paint It Pretty Polish Scooby Snacks ($11 USD, 15 mL) is a baby blue creme-like base packed with shifting aurora shimmers. I am wearing three thin coats plus top coat. The formula was very smooth and fluid with no issues whatsoever. The shimmers are very obvious in this baby blue which has me dreaming of Spring already. 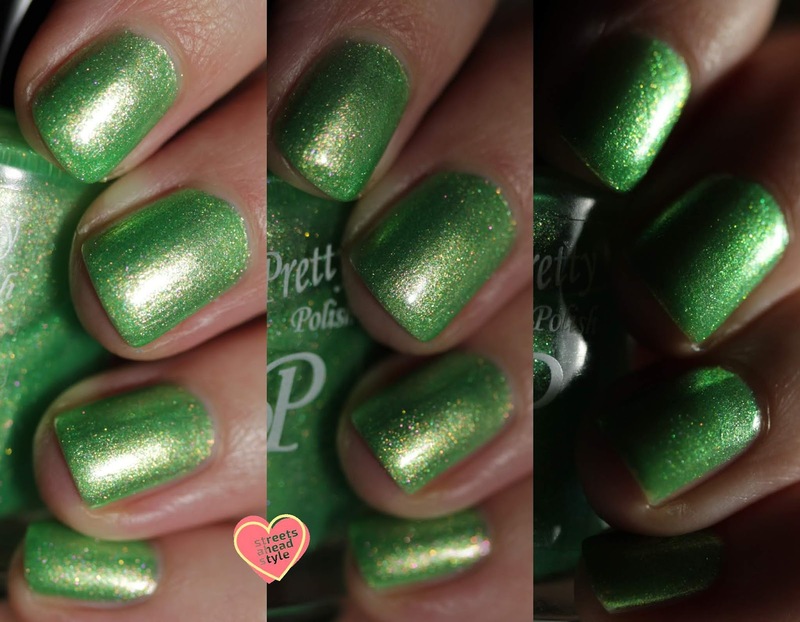 Paint It Pretty Polish Zoinks ($11 CAD, 15 mL) is a bright almost metallic spring grass green with shifting aurora shimmers. Shown here is three thin coats plus top coat. Another wonderful formula with a quick drying time. Is it Spring yet? This green is so pretty and shifty. It looks almost neon in some lighting and the aurora shimmers really sparkle in low light.